I used to think that the fun felt Thanksgiving countdown calendar from Pottery Barn was my favorite, but Honeybear Lane has changed my mind. 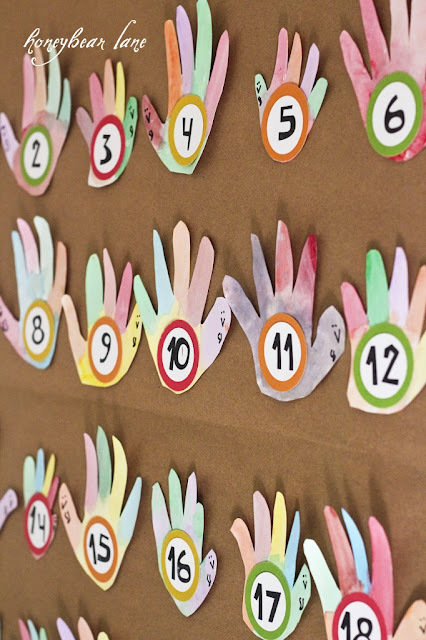 I absolutely love this fun handprint turkey countdown calendar that she made with her family. It isn't too late to make one of your own, even if there are only 14 days until Thanksgiving! !